Shears come with 3 different sized thumb rings. 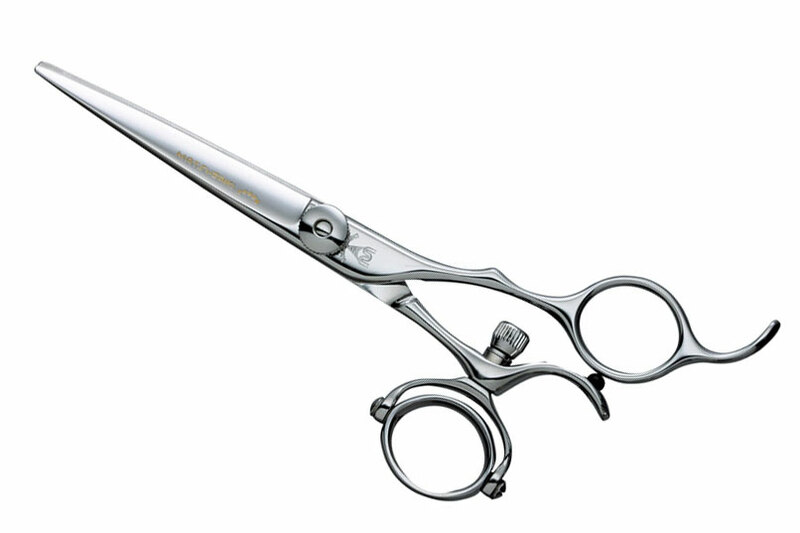 5-Star Cutting Shear MWQ by Matteck Matsuzaki -MM Cobalt -Swivel (Revolving) Thumb Ring -Available size: 5.0", 5.5" and 6.0". Comes with 3 different sized thumb rings. Only the small thumb ring has horizontal and vertical rotation. The other thumb rings rotate on a single axis. Thumb ring removes 360 degree vertically and horizontally which could make hair cutting possible from any angle without burden to the elbow and wrist. Depending on your idea but you can enjoy a variety of usages such as slide, stroke, chop, vertical slice cuttings. Further, three sizes of finger ring are prepared for easy handling.